Go ahead and click on the list to make it readable. Observations made over coffee, working together creatively one afternoon. 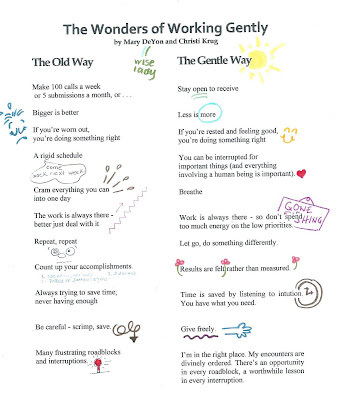 Where are you powering through a task, when you could be working more gently?